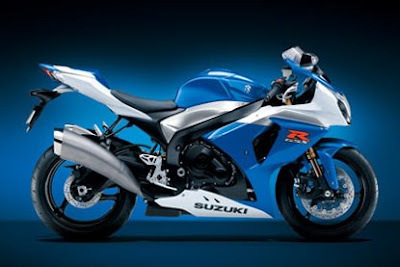 Suzuki has revealed its 2009 superbike, the GSX-R 1000. 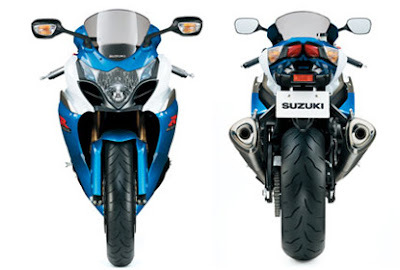 Prior to its presentation in Paris, the Global Suzuki site had already published the characteristics of this new bike. The main novelty is the 59mm engine, shorter than that of the 2007 and 2008 models. The wheel base has been reduced by 10mm, and with a longer fork, the weight distribution and traction have been improved. 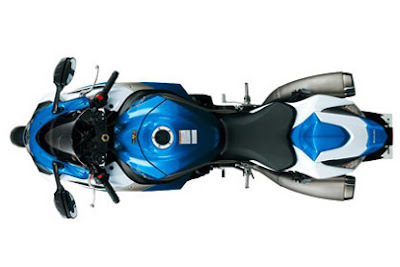 This means the GSX-R 2000 is a more agile bike, and gives greater performance over mixed courses. The compression ratio has been increased, though Suzuki is not prepared to reveal its secrets here. 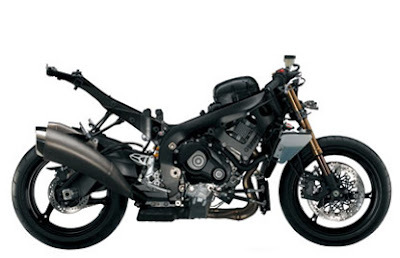 The bore and stroke has been changed to 74.5mm and 57.3mm (previously 73.4mm and 59mm), and the bike includes a bigger radiator and with a redesigned titanium exhaust. Forged pistons have been used, from the endurance championship models, while braking is controlled by two 310mm discs and twin radial-mount monobloc calipers. New styling is designed to reduce turbulence and drag, giving greater riding feel, with a comfortable seat and lighter fuel tank. Other aspects include new multi-reflector headlights and instrument panel. A little faster, a little lighter, a little more powerful and a little smaller than before. But these are evolutionary, not revolutionary changes. The 2009 Yamaha R1 has its crossplane crankshaft. 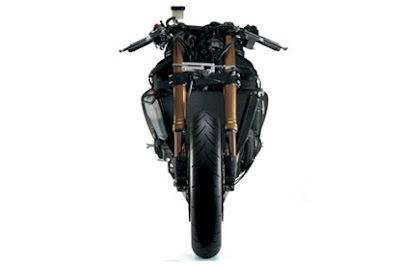 The 2009 Honda CBR1000RR has ABS. I want to purchase one bike for me, can some suggest me between Honda or Kawasaki and why? great , thank you very much ! posts very absolute,Thanks Administrator !